Sistema Shyam TeleServices (SSTL), which operates under MTS brand name, on Wednesday announced its entry into the home Wi-Fi segment as the telecom operator eyes increased revenues from data usage. SSTL - controlled by Russian conglomerate Sistema - is eyeing the home Wi-Fi segment, which is a small but growing segment in India, as more and more smart device users log on to Wi-Fi networks at their homes and offices to surf the Internet. "This launch marks a strategic shift in focus for MTS from being primarily a dongle driven data company to a Wi-Fi solutions provider," the firm said in a statement. The specially-designed Homespot Instant Wi-Fi solution comes with an MBlaze Ultra dongle which works with a simple plug and play mechanism and can provide high speed broadband access to five users simultaneously including smartphone customers, it added. According to various industry estimates, the Indian Wi-Fi market is in the range of Rs. 35,000-40,000 crores. MTS said that prepaid users opting for Rs. 499 per month plan will get 5GB of data along with free WhatsApp and Viber. Prepaid users just need to pay Rs. 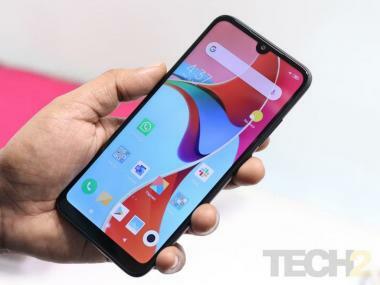 1,299 to get the device with 10GB bundled data usage, while postpaid users need to pay just Rs. 999, it added. with different Internet connections when at home, MTS said. According to telecom regulator Trai, the number of broadband subscribers increased from 82.22 million at the end of November, 2014 to 85.74 million at the end of December last year with monthly growth rate of 4.28 percent. However, fixed wireless subscribers, which include Wi-Fi, Wi-Max, point-to-point radio and VSAT, remained flat at 0.43 million during the same period, it added.